The nineteenth century saw the expansion of Western influence across the globe. A consular presence in a new territory had numerous advantages for business and trade. 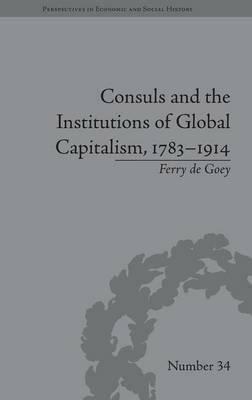 Using specific case studies, de Goey demonstrates the key role played by consuls in the rise of the global economy. Ferry de Goey is Assistant Professor of Modern Western History at the Faculty of History, Culture and Communication (ESHCC), Erasmus University, Rotterdam. His main field of expertise is entrepreneurial and business history, and some related fields including maritime history. Between 1998 and 2003 he acted as Research Director of the N.W. Posthumus Institute for the research programme 'Entrepreneurship and institutions in a comparative perspective, 1500-2000'.